*NEW* Choose your color protective soles from Vibram! Be Creative-Be Different! Worn soles and heels are removed. The old cork filler is removed and replaced with new cork filler to cushion and insulate. The metal shank is replaced if necessary. When we repair the sole, we use only the finest grade leather or rubber sole to give you the greatest value for your money. A quality rubber heel or stylish combination heel is attached to a new solid leather base and is secured to the sole with glue and threaded nails to ensure a proper bond. We then clean and hand polish the shoe for a "like new" look. 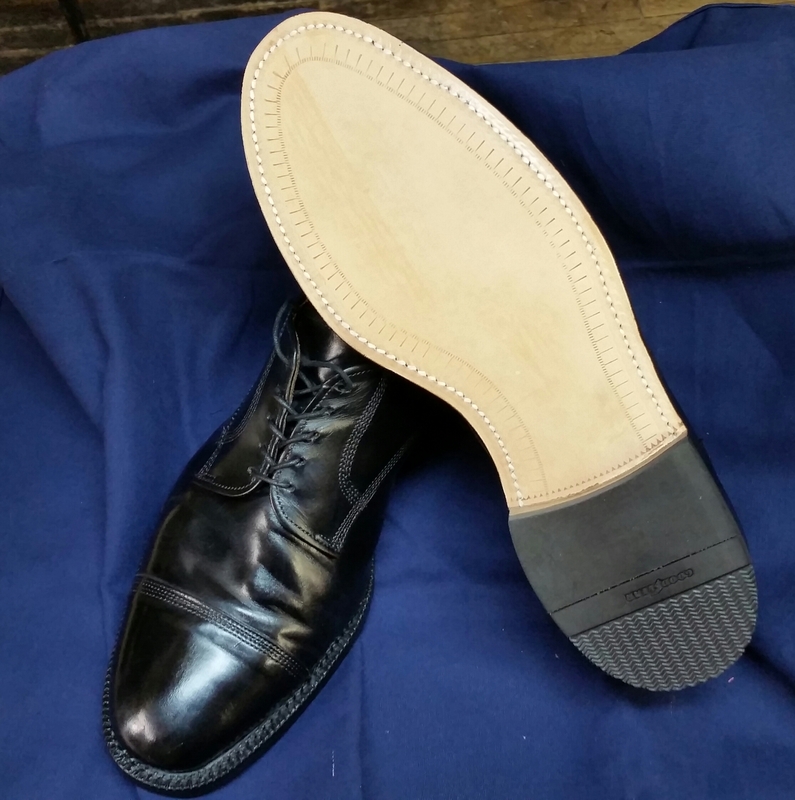 We also can Recondition and Glaze the shoe for a factory finish lasting 10 times longer than a typical shoe shine. Optional heel and toe plates can be installed to add additional wear. Half soles and heels are recommended on ladies shoes due to the delicate nature of most leather uppers. 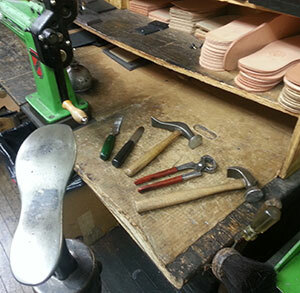 We beautifully dove-tail the new sole to ensure comfort and fit. The uppers are cleaned of old dirt and polish. Then lanolin oil is applied. Next, a beauty finish is reapplied and sealed with a factory finished topcoat for a new beautiful appearance. A Sole Protector is an extremely durable, very thin rubber sole that is applied over an existing new or slightly worn sole. Sole protectors will wear 3-4 times longer than a leather sole and are suggested for people who walk a lot or need slip resistance on their footwear. They are also suggested for the new style pointed toe shoes as the toe area wears out very fast. Cobbler's Corner uses Avanti or Vibram heel lifts which are much longer wearing and have more traction than factory plastic heels. 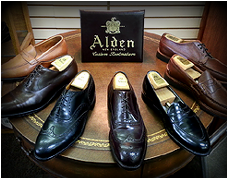 Allen Edmonds and Alden shoes Re-Crafted here with award winning craftsmanship as recognized by the Shoe Service Institute of America.